There is a great inchie/twinchie swap over at Craftster.org. The rules are that the finished piece can not be bigger than two inches. Every piece in this swap as been amazing so far and it’s not over yet! The swap has inspired many members to create other inches and even start a craft along. 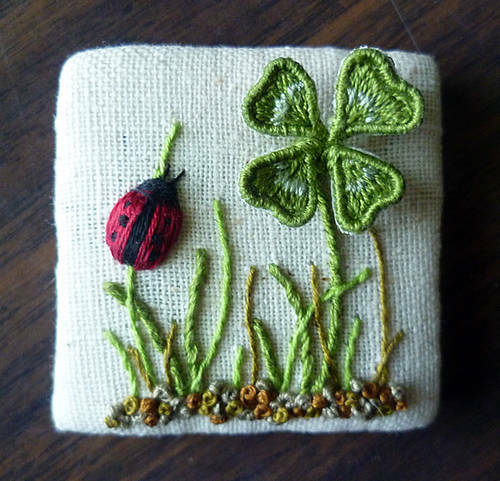 Member Sheepblue has gotten into the spirit with these inchies and added a stumpwork into the mix. I am totally blown away by her skills. You can read more about the piece HERE. You can see the swap gallery HERE and the inchie along HERE. Come join in the fun!